There’s nothing like a crisp New England winter evening, a roaring fire, a cup of cider, and a 242 page Notice of Proposed Rulemaking to fill your Friday night. I’ve summarized the preamble and all 50 criteria to save you time as you consider the proposals during the 60-day comment period. Note that no vendor needs to implement 2015 criteria, and no provider needs to adopt 2015 certified software, hence the term voluntary. In many ways, this document is meant to signal what might be included in the 2017 edition that supports Meaningful Use Stage 3. Roughly 60 percent of the 2014 Edition EHR certification criteria are unchanged in the 2015 Edition. The remaining certification criteria proposals for the 2015 Edition fall into four general categories: clarifications, standards updates, revised approaches, and new certification criteria proposals. As with the Meaningful Use Stage 3 proposals, I’ll pose questions — not to be judgmental, but to get us all thinking about the scope, timing, and purpose of the certification program over the next several years. The preamble highlights several big ideas: elimination of the ‘complete EHR’ designation, separation of content/transport certification criteria, adoption of new standards, more frequent certification rule making, and the need for 2017 edition proposal feedback. Complete EHR was a very confusing concept to me that led many to buy single vendor systems as the “safest” option instead of assembling modules. I applaud the idea of eliminating terms like ‘Complete EHR’ and ‘Optional Certification’ criteria. Each certification criterion should stand alone, and during attestation you should “fill your shopping cart” with only the certified modules you need. Separating the content and transport certification criteria is a good thing. The 2014 Edition which linked the two concepts proved to be very problematic in Massachusetts, where the state HIE performs all of the Direct and XDR functions we need, so no EHR requires transport capabilities. Yet because EHRs had to be certified to do both content and transport interoperability, extra work and expense was incurred. The logic behind more frequent certification rules is that it enables “bug fixes” and more rapid adoption of standards. However, we should ask the question — even with a voluntary program, just how fast can we develop software, install upgrades, revise workflow, educate clinicians, and support new software versions? My experience is that changes of this nature take 3 years from regulation to attestation, at a minimum. Focus on the fixes. There were many challenging issues in the 2014 Edition; the 2015 Edition fixes several of them. Even if something looks more complex (like separating content and transport criteria), it is simpler and provides more market flexibility. Identify the burden reduction. Vendors of “non-MU Eligible” software such as long-term post-acute care no longer need to develop “MU-required” functionality such as measure calculation to get certified. Recognize that about 30 percent of the document is requesting comments for the 2017 Edition, not specifying 2015 requirements. The proposals are just that — proposals. It’s hard to know how many will be incorporated into the final rule. Much depends on feedback from stakeholders. Certainly the Standards Committee and its Implementation Workgroup will offer substantial feedback. Although some of the proposals do not seem like the highest priorities, there is someone inside or outside government who believes each proposal is important to healthcare. If you have questions about intent, re-read the preamble. It’s well written and provides a context for the 50 proposals. Sixty percent of the criteria are the same; 40 percent are modified/new. Many of the modifications are to correct issues in the 2014 Edition and are reasonable. Some of the new criteria could be very burdensome. We need to debate the collective burden of the Meaningful Use program in the context of ICD-10, ACA and the HIPAA Omnibus rule burdens. Each individual project may be reasonable, but the collection of all the projects is not. ONC is proposing more frequent certification NPRMs. We should debate if increased frequency is a good or bad thing given the realities of implementation and competing projects. Overall we should debate the role of certification going forward. 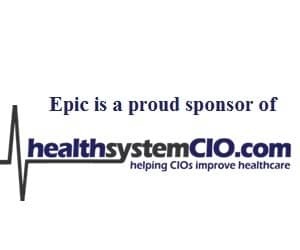 Should government provide a list of EHR functional priorities, or should that be left to providers, patients, and developers? How prescriptive should government be, i.e., roads should be 30 feet wide, but drive whatever you want, versus your car must have 2 headlights, a catalytic converter, seat belts, and 4 tires versus you must drive a SUV. Although the fixes are much appreciated, are they too late since most vendors in the Meaningful Use program have already completed the work of certification with the 2014 Edition, despite its flaws? As with the Meaningful Use Stage 3 proposals, let the debate begin.